MG Vowgas Limited is a leading company that offers a range of technology-driven Pipeline services and innovative products. MG Vowgas Limited is a safety-conscious company dedicated to client satisfaction. MG Vowgas Limited carries a wide range of services from leak detection to Pipe inspections, cleaning to lining, flow monitoring to source tracing. Our experience and expertise has earned us the reputation as the reliable partner for the management, renovation and repair of your assets. 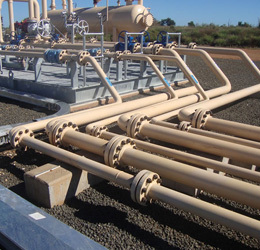 MG Vowgas Limited have also developed capacity in providing HOT TAPPING (wet tap), LINE PLUGGING (line stop) and COLD CUTTING in applications ranging from high pressure transmission pipelines .We provide specialized equipment with highly trained and skilled personnel to carry out our Pipelines services.